danish delight. | owl's house london. The launch of a new chair is something to be celebrated. This most utilitarian of objects has had so many reincarnations (one of the most thumbed tomes in my book case is 1000 chairs by Charlotte and Peter Fiell), but how many new chairs go on to become design classics? This chair by Ronan and Erwan Bouroullec, launched at Orgatec 2012 in Cologne, has a distinctly Scandinavian feel to it in its elegance and simplicity (it is for the Danish company Hay). The pronounced seam in the middle reminds me of an open book when seen in profile. The pairs of legs attach at the top creating an A-frame structure allowing it to stack. It is fabricated from oak and beech, and its inspiration comes from old wooden university trestle tables. The series also features tables (with the seam this time cleverly serving to conceal cable runs), benches and stools. 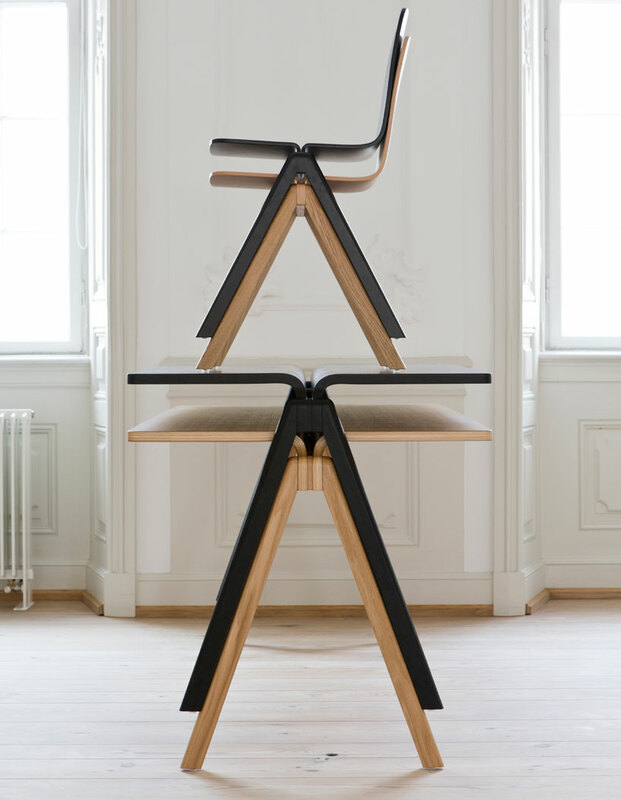 It is designed as educational furniture, conceived for the University of Copenhagen, and it has something of the utilitarianism of the Bauhaus era, but in a refined, light and elegant form. Was the open-book profile intended? I don’t know, but I think it is a stand-out chair and would work in so many settings. What do you think? Will it make the cut? This entry was posted in found objects. and tagged design, found on November 2, 2012 by owls house london..
Pingback: folklore. | owl's house.